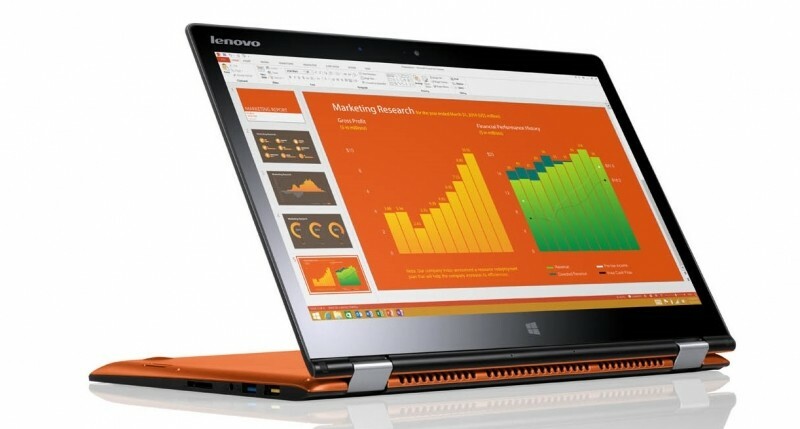 Lenovo is making CES 2015 their launching pad for a whole ton of new products, today announcing five Yoga-series laptops. Like the Yoga 3 Pro that we reviewed recently, these Yoga products can all fold a full 360-degrees, allowing you to use them as either tablets or traditional laptops. The first two laptops are part of Lenovo's Yoga 3 line, introduced as lower cost options that are a bit thicker than the Yoga 3 Pro, but still very portable and powerful. Both the 11-inch and 14-inch models come with 1080p IPS touchscreen displays as standard, alongside JBL audio and up to 8 GB of DDR3L RAM. The Yoga 3 11 is powered by an Intel Core M processor, comes with a 34 Wh battery, and will be available for $799. The Yoga 3 14 is powered by a standard Broadwell 5th-gen Core processor with optional Nvidia Maxwell graphics, comes with a 44 Wh battery, and will retail for $979. Both will be available in March. For the more business-oriented users out there, Lenovo has also launched three ThinkPad Yoga models in 12.5-, 14- and 15.6-inch display sizes. All models are powered by standard Broadwell Core processors, with the larger two models coming with optional Nvidia Maxwell graphics. 1080p IPS touchscreen displays are standard on all models but the ThinkPad Yoga 12, where it's an optional upgrade from 1366 x 768. There are a ton of storage options available, from hard drives to high-capacity solid states, and each model supports stylus input for easy annotating. You also get the well-loved ThinkPad design with a touch of flexibility. The ThinkPad Yoga 12, 14 and 15 will be available in February starting at $999, $1199 and $1199 respectively.